Don't know how this is but looks interesting. Could try it in the kamado. Mississippi Roast: By far the best recipe I have tried. I wont make a roast any other way now. Mississippi Roast – - Put chuck roast in crock pot, Sprinkle with... Hidden Valley ranch dressing, add McCormick Au Jus mix, a stick of butter, 5 pepperoncini peppers. DO NOT ADD WATER. Cook on low for 7-8 hrs. 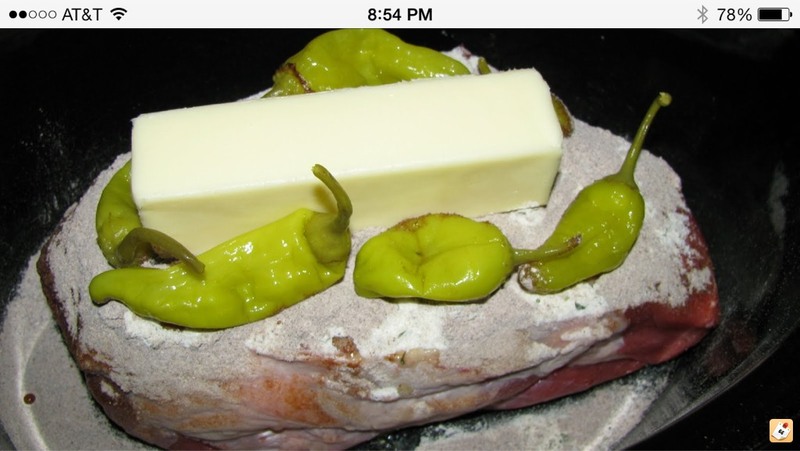 It just shows the stick of butter and peppers sitting on top of the roast. What's a crock pot?? Is that some new type of grill I don't know about?? I'm pretty are the text is copied from Facebook. Substitute "crock-pot" (aka electric slow cooker) for "Dutch Oven" and toss it on the grill. I tried this on my Vision and the results were unimpressive. Which is exceptionally rare for food that comes off the Vision.